Where exactly is your store? We are located within The Bridges Shopping Centre in the centre of Sunderland. Opposite Starbucks and the o2 store. Park in Debenhams Multi Storey Car park. If you are using public transport parklane interchange is the best stop. Your repair can be completed in under 30 minutes with our fast track que jumper service. Of course this depends if we have the necessary parts in stock and the model plus extent of damage to your phone. What if you can’t repair it immediately I need my mobile? Is the fault covered under the warranty? If our Hero finds your issue with the phone is possibly covered under the warranty we will advise that this is an option and arrange to have the phone sent to the manufacturer’s warranty repair facility. Manufacturers will carry out repairs free of charge if they agree the fault is due to a manufacturing defect. How much will it cost to replace my screen on a …? While we are happy to quote over the phone a rough cost please understand that its not possible to give an accurate quotation without inspecting the phone. 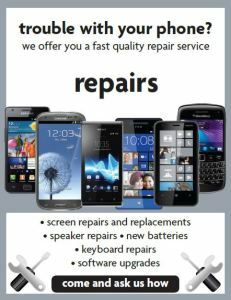 On inspection it may be more that your screen that is damaged and hence our engineer may call you with a revised quotation, There is no obligation to go ahead with the repair if you are unhappy with he revised price. Our quotation is totally free of charge. What about the content, phonebook, pictures, media on my phone? 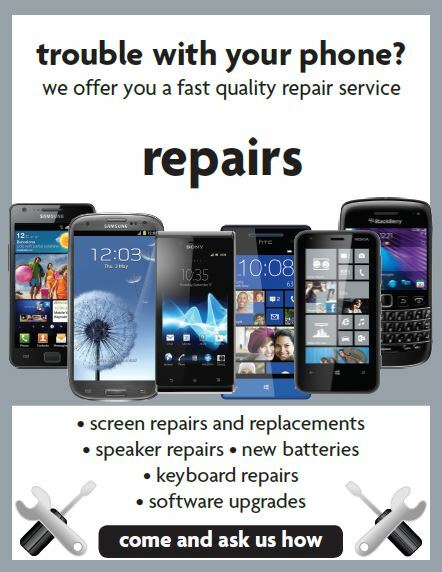 Where possible we will always preserve the content of your old phone during the repair process. However we accept no responsibility for lost content during the repairs process. We have a dedicated data management system that allows us to back up and transfer your data should you want to retain a copy prior to booking your handset in with us.